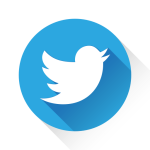 From the moment the “choo choo train” comes chugging towards the tight-shut mouth of a toddler, to the time a child wakes up on Christmas morning to a toy train, tracks laid out beneath a twinkling tree. Or the oft-odorous, over-crowded trains snaking through unchartered territories, taking teens and twenty-somethings on intrepid inter-rail adventures. Could we claim that trains track some of life’s leading landmarks? They’re up there in the transport triumvirate of planes, trains and automobiles, but I think they might have an exoticism that’s all their own. 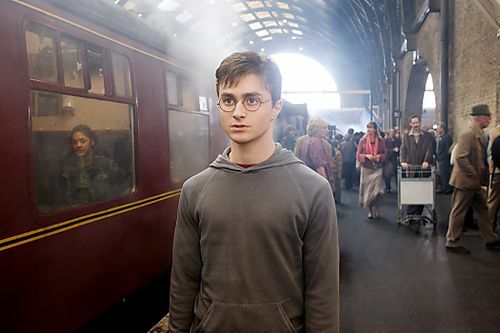 Think of the huge, hulking Hogwarts-bound steam engine that Harry Potter and pals board on platform 9.5 at King’s Cross. 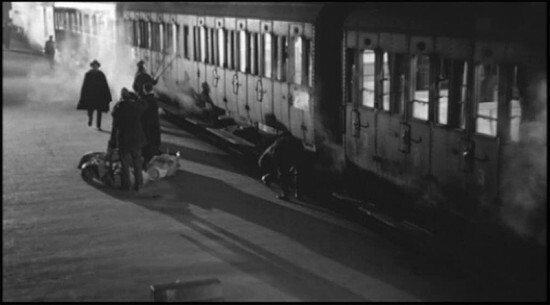 Or the unsettling scene in Visconti’s 1960s Italo-French film Rocco and his Brothers when a destitute southern family takes the fetid, fateful train to the more prosperous north. There’s also romanticism attached to the railway: anyone seen the latest Chanel No. 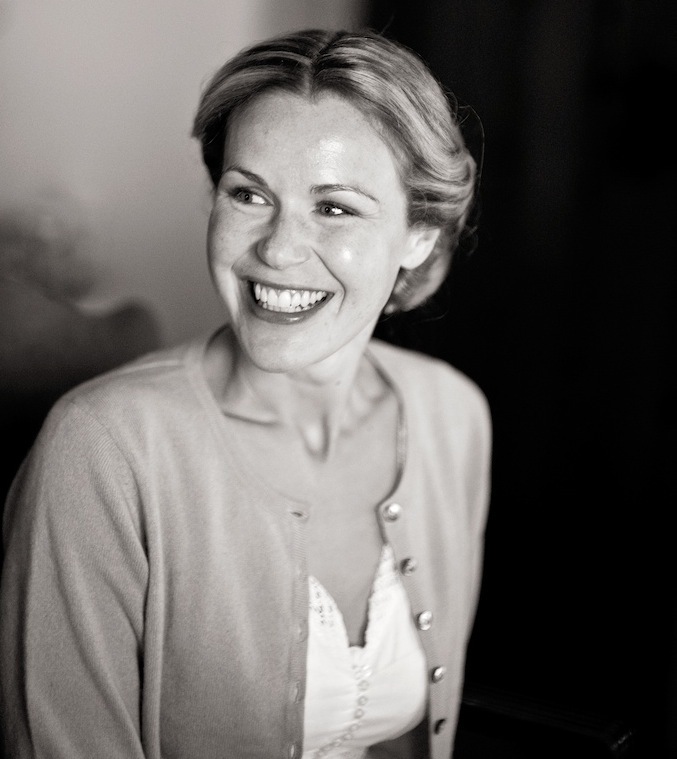 5 ad, with a gorgeous and glowing Audrey Tatou inside an old-fashioned train carriage? Today is National Train Day in the States, a country that’s paid tribute to trains ever since the first transcontinental railroad spanned North America. 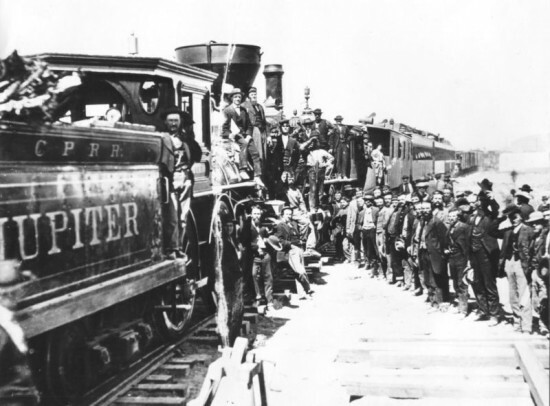 When the uniting of the coastal networks happened at the Golden Spike event in Utah in 1869, it marked the start of mechanized transport that revolutionized the population and economy of America. 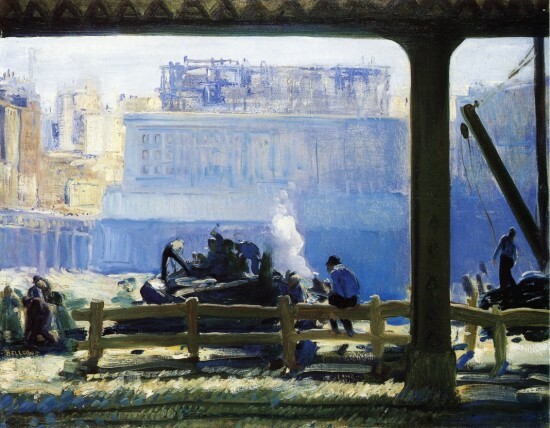 Today’s festivities take place at big city stations (Penn in New York, Union in DC, etc) and in their spirit of “discovering the railway” all over again, today’s painting is Blue Morning (1909) by the American painter George Bellows (1882 – 1925). We’ve been with Bellows before (Jan 18) and talked about how he was already peaking in performance by his twenties. 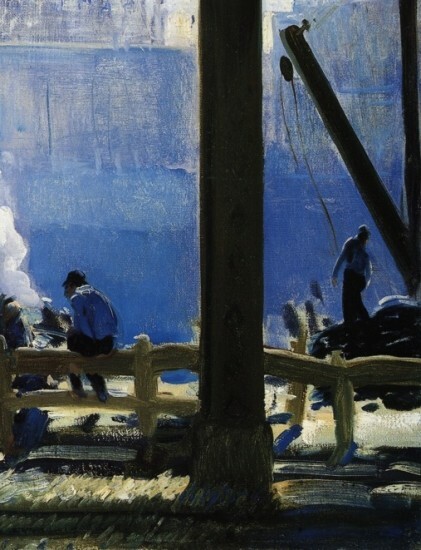 Trained under Robert Henri, Bellows crested a wave of American modernism that welled from recent, bloody and proud US history. While writers like Herman Melville and Walt Whitman succeeded in creating a distinctive American ‘voice’, artists like Henri and Bellows engaged with new realities of city life and challenging artistic ideas coming up in Europe to find the new ‘voice’ of American art. This painting pulses with viscera and vitality. Initially, the energy comes zipping in off Bellows’s brush, which moves quickly and determinedly across the canvas (see the shuddering marks making up the foreground grasses and the steady stream that sets up the fence). His figures are brought to life with efficient, well-placed strokes, that capture and convey the weight and strain of work being done. Set in New York (can anyone name the big white building in the background? ), Bellows focusses as usual on the struggle of the lower classes (which he saw as an apt reflection of modern America). In this grinding environment, the elevated tracks of a train pummel through the picture, providing a firm and forceful framework. It’s the unusual colors that lend lyricism, at odds with the schlep of the scene. 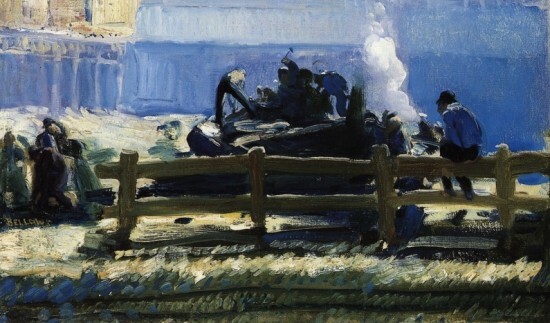 The blend of blues sitting and shining all over sees Bellows at his most coloristically uninhibited (spot the blue grass and aforementioned fence). It’s the shimmering backdrop that prevents the heavy horizontal at the top of the picture from becoming oppressive. Can you confirm that this Bellows painting is the same one that was in the Independent Artists exhibit in NYC in 1910? The article I’ve read does not give a name of the painting just that it was “of the morning at dawn in the city, tender in color and touch as the pugilists by the same painter are violent and robust…” I know this must be off the wall, but any information would be much appreciated. 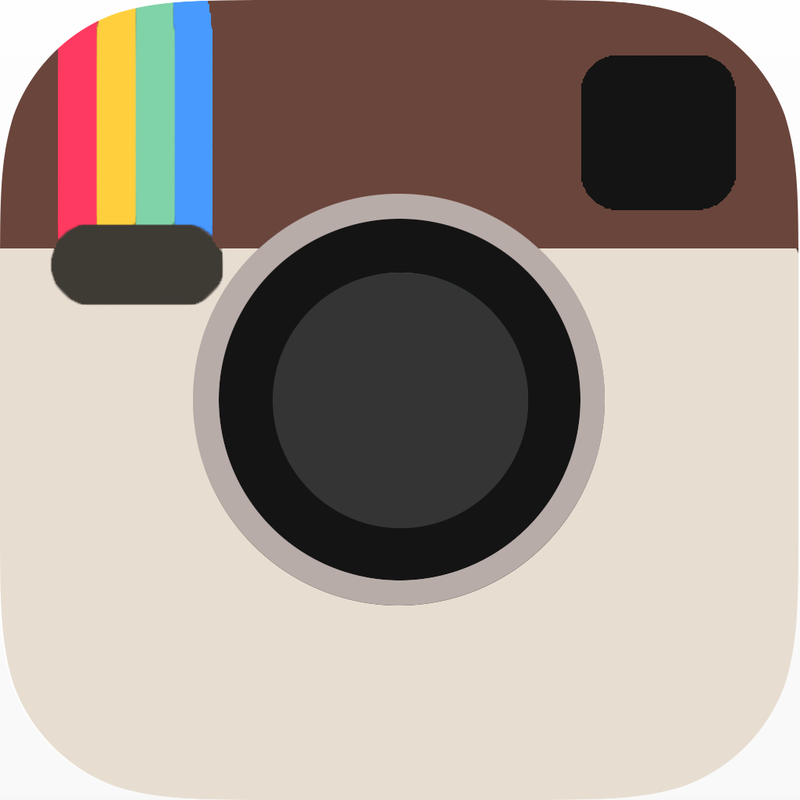 sorry – forgot my email in the previous comment.